Pumphrey Law Blog So You Need a Tallahassee Criminal Defense Attorney? 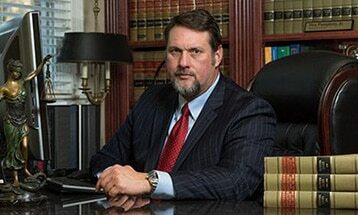 So You Need a Tallahassee Criminal Defense Attorney? “Criminal Defense Attorney” or “Attorney” are not common search terms here in Tallahassee; our State capital. Unfortunately, “Tallahassee Criminal Defense Attorney” is the most searched term, let’s face it. The reason is quite simple. Tallahassee or Leon County ranks at the top of crime rate as reported by The Tallahassee Democrat. According to the Tallahassee Democrat, “[the number of reported crimes include] murders, sexual assaults, burglaries, larcenies, and grand theft auto combined to rank Leon County with the highest (5,049) reported crime rate in the State.” In Tallahassee, Florida, we have an average of 72,000 students at three major schools, which equates to a greater need for advice on criminal related issues for students. Recently, the Tallahassee Democrat reported that “even as the total number of reported offenses rose by more than 1,000, arrests declined by ten percent (10%).” The unfortunate side is that when a false arrest, mistaken arrest, negligent arrest, or some form of arrest that snares an innocent person -one who is truly innocent of everything–it places the family in complete and utter fear. The family suffers the most and is in desperate need of correct answers, and someone who can take control of a situation that appears hopeless. An experienced individual who can make hope happen again–not unreasonable nor false hope, but real hope. Such hope is built on experience, training, and compassion. Contact Pumphrey Law at (850) 681-7777, and let us help remove the fear, restore the hope, and give you leadership and direction that you so desperately need when you need a Tallahassee, criminal defense attorney. Our offices are conveniently located in Tallahassee, Florida. The attorneys of Pumphrey Law can help you understand the charges pending against you, the potential punishments, and the best defenses to fight the charges. The Firm represents clients in Leon County, FL, and the surrounding counties of Jefferson County, Wakulla County, Gadsden County and Liberty County. This Article Was Last Updated on March 27, 2017.